I’ve been a REALTOR® for 4 years and have been trying to purchase my own home in just about that same amount of time. Here’s the backstory. I graduated grad school in August 2012. 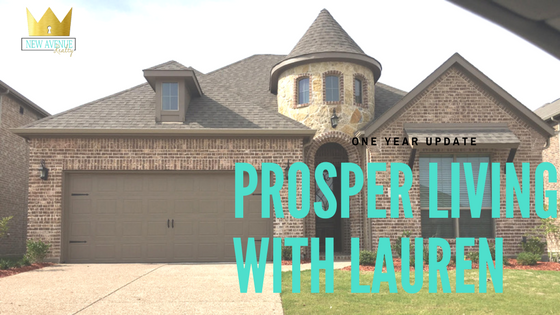 I started working for a nonprofit in South Dallas in January 2013 where the premise of our business was revitalizing South Dallas and homeownership was one of those ways. 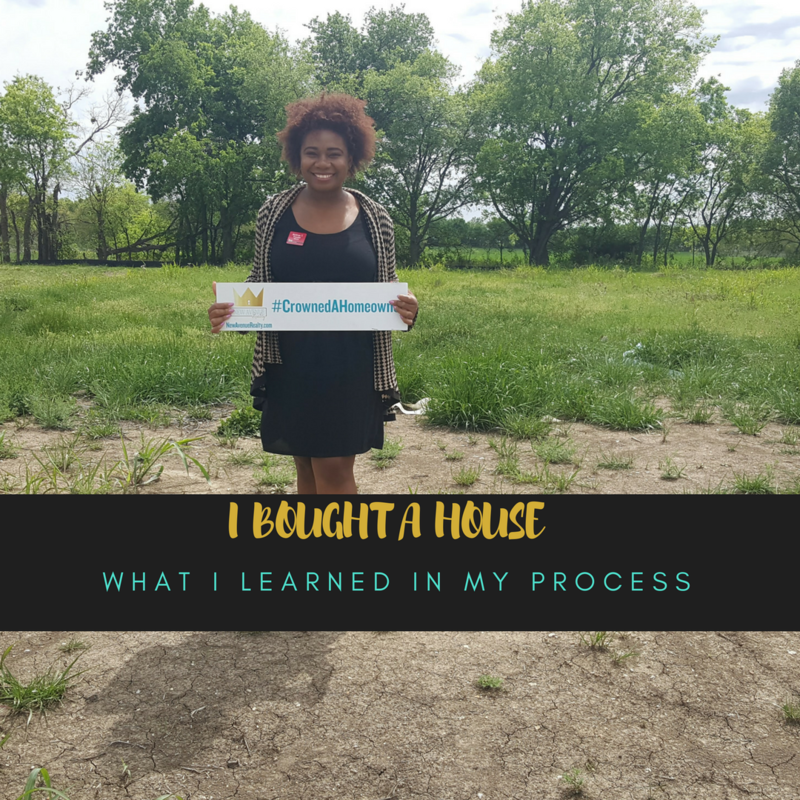 There was no way I could talk about the values of homeownership without buying my own home. However, credit stood in my way. I knew I made mistakes from college that hunted me. The income and the debt weren’t syncing to make it right. Until one day, I decided I wanted a house. Working at the nonprofit, I knew what credit score I needed to have. I believe when I started on my credit, my score was at 585. I needed a minimum of 620 to get a down payment assistance program and go from there. I managed my money, I saved, and I would scroll online. Looking for a home was the easy part. It wasn’t until I found a home around the corner from my then apartment that was perfect. It had a pink and green room and a doggy door. It was perfect for me, so I thought? I called the Realtor to show it to me. It was a foreclosure listed at $120K. I had already did a cost analysis being a Housing Counselor so I knew how much I could possibly afford. I immediately went back to the drawing board. The fixer upper home was NOT in my budget. It sounds nice on paper but what people fail to realize is the cost of fixer upper. If you can barely afford the downpayment like I was at that moment, a fixer upper may not be for you. 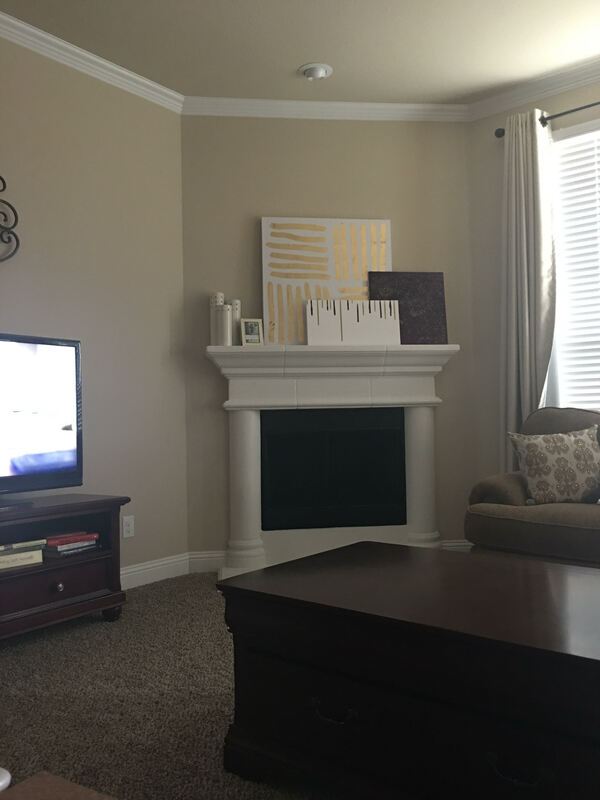 Cosmetic updates and fixer upper are two different things. I had gotten my real estate license in between that time and decided this was the chance for me to be able to really scour through the market. I connected with a few lenders and found one I liked to work my own house deal. She qualified me for $120K which was right on the money for the foreclosure home that I saw. However, at that time, I had started doing deals in real estate and was ready to leave my full time job. I told the lender that and she was like yeah to get a home being self-employed, you’ll need 2 years of tax returns. What? That meant I would have to wait 2 years before coming back to get qualified. Well, 2016 it would be. I’m ready to get a mortgage. I’ve made decent money in real estate so I should be good. Well, I went with a different lender that I worked with. He approved me but at this time $140K. You know why? As a self-employed person, we pay A LOT in taxes. I saw the first estimate and was like no thank you. Therefore my income was lower than I originally told the lender (self-employed people are qualified based on the income they report to the IRS) and the average of 24 months only qualified for $140K. I knew where I wanted to live and $140K wasn’t even buying a door to the house. I spread out my options within Denton County between Little Elm, Aubrey, Cross Roads, Oak Point, The Colony, Carrollton, and Lewisville. I knew for sure I loved the 380 area however homes were around $180-200K. I halted the process then and said I would try again in 2017. I knew my taxes for 2015 and 2016 combined would have more income than my taxes for 2014 and 2015 were. By tax time, I knew I had to make my numbers stand out to buy my house. In simplest terms, I knew I couldn’t write off everything. I had to strategically plan it out and know what the estimated taxes would look like. Thank GOD for a past client would recommended their CPA. I saved so much in taxes and still claimed the income that I needed. It was at that moment, I was able to purchase a home up to $246K. Originally, my budget was set at $180K. I set myself up on a search on the MLS for homes under $200K in my desired areas. I noticed that the homes that were under $200K were getting slim. I had to act fast and knew I wasn’t getting under $200K in my desired area. This was it. I was finally going to do it. 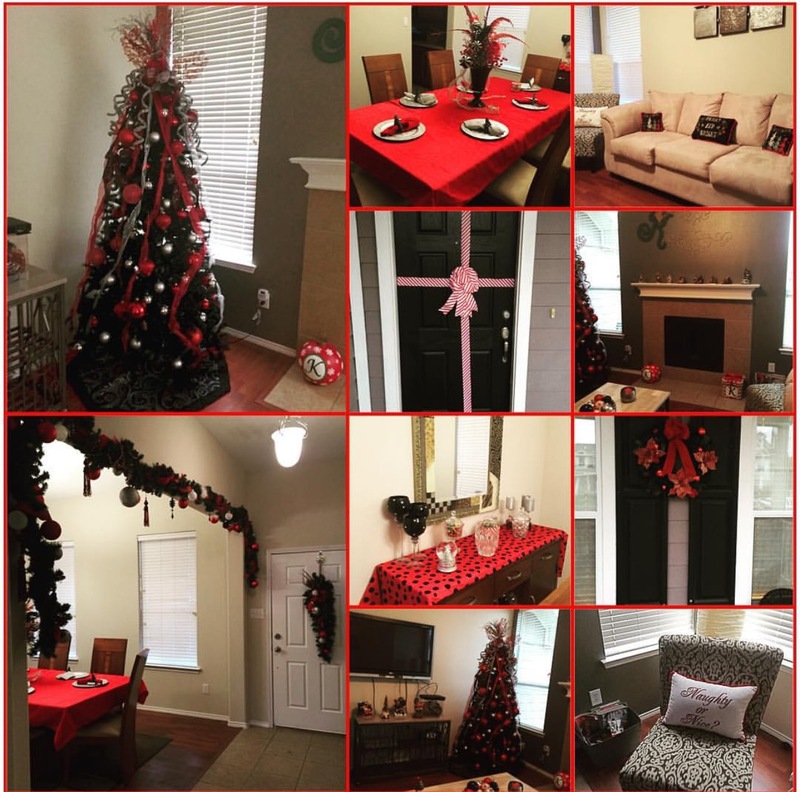 I scoured through the area that I wanted to buy in after narrowing it down to 3 communities. I LOVED new construction and thought it would be the best way to save more money to purchase, give me a great timeframe, and sign one more 6 month lease to end apartment living forever. 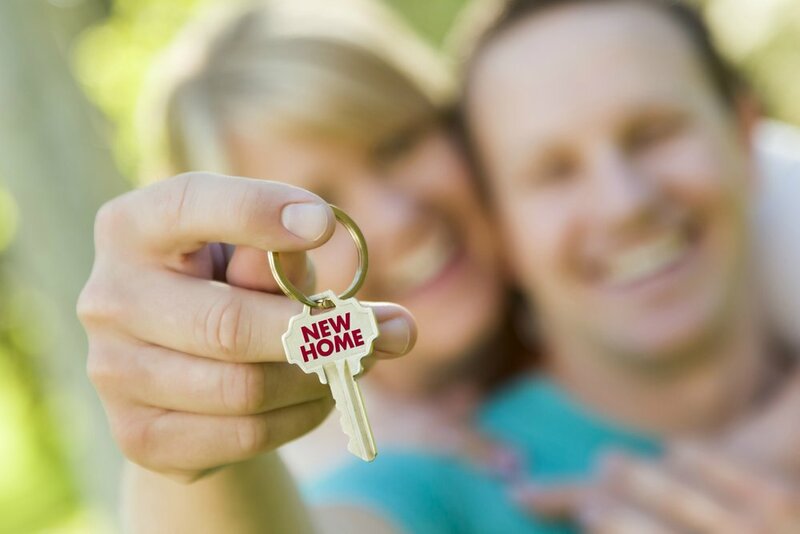 Feeling inspired to begin your home buying process? Visit newavenuerealty.com. In Dallas, homes are staying on the market for almost 16 days with the homes selling at 98.4% of the listing price. Homes under $200,000 sell in 6 days and sell for 100% of list price in North Texas. In today’s competitive atmosphere, you need a professional on your side who knows your exact market conditions and can help you take the steps you need to be able to secure your new home! Schedule a buyer’s consultation with New Avenue Realty at atfowlerrealtor.appointy.com. It’s a new homeowner’s favorite day. It has been a pleasure to work with the Kellys. I remember our first day meeting each other. They came as a referral from a past client and friend. I tend to have small connections with clients besides the referral person. The Kellys are both from Louisiana and just so happen to go to college in my hometown or shall I say parish. For them, as with most clients, location was important. My suggestion after considering their work locations and their daily life, I suggested the East Dallas suburbs. The homework was to visit communities and we’ll regroup after my conference. To my surprise, they loved the East Dallas suburbs so much, they called while I was at the conference to say they found the community and are ready to go. That day we were working it out for them to move into a neighborhood. Goodbye McKinney! Hello Heartland! 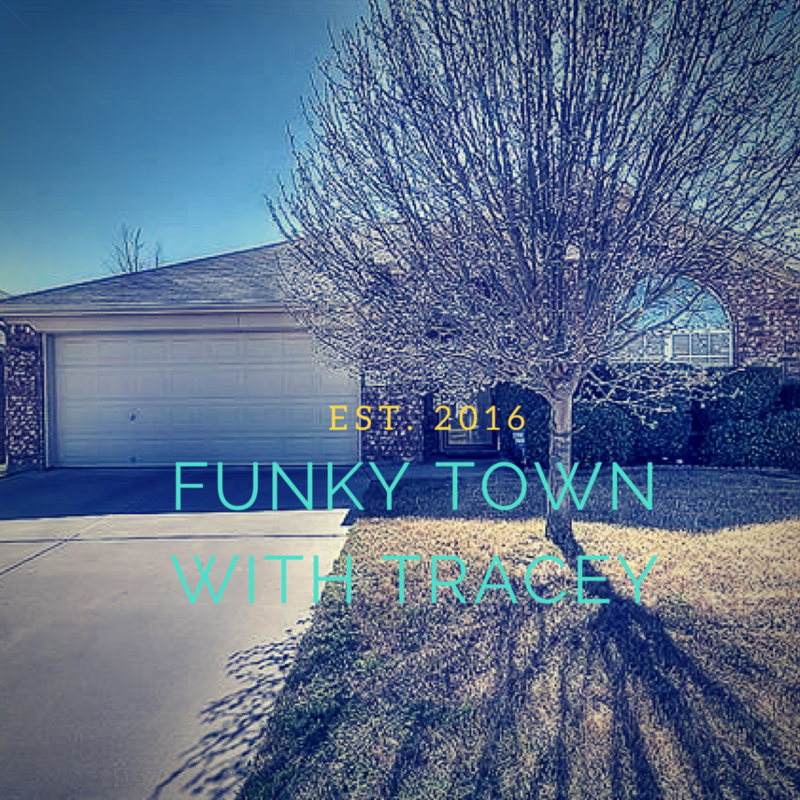 I gave them other areas like Fate, Royse City, Rowlett, and Rockwall to check out but the fell in love with one of the builders we went to go see when considering areas such as Sachse and Wylie. They found a master planned community that fit what they were looking for a little outside of those areas with perfect access for family coming in from Louisiana. I can honestly say that it is the relationships that are built through the transaction that I love the most especially during the building process. 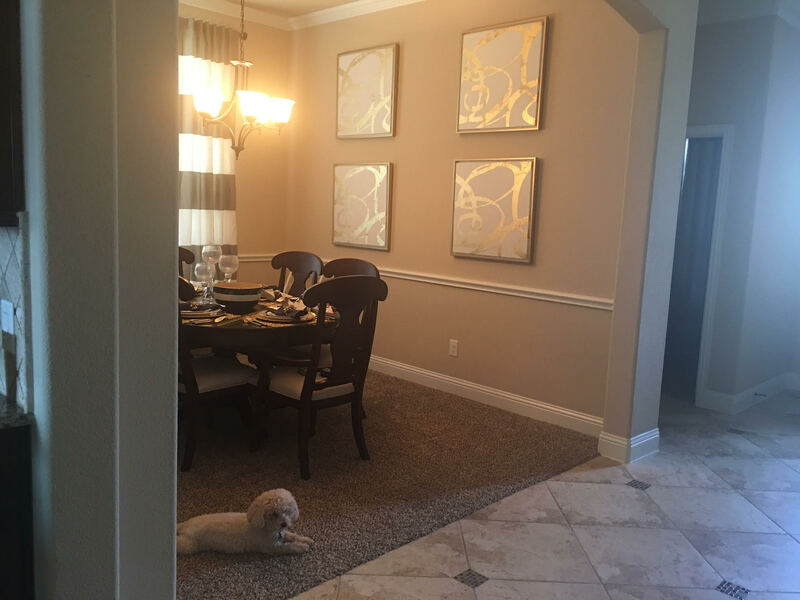 I come along as a trusted confidant and helped throughout selections of the interior and exterior. I must say that I cannot wait to see how they turn this house into a home. Congratulations to the Kellys! 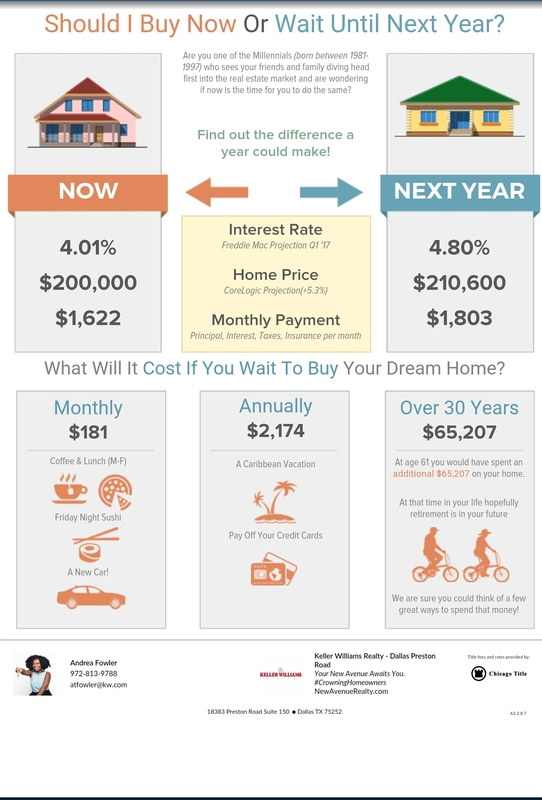 Is now the time to buy a home? I won’t be Andrea if I am not completely honest with you about this question. The answer to this is subjective. As a millenial myself, we get a lot of flack of not buying homes or buying homes BUT you don’t know what other people’s coinage look like. Every millenial is NOT in debt up to their neck nor do they need to go live with their parents to save for a down payment. I will say the best answer is to do what’s best for you. 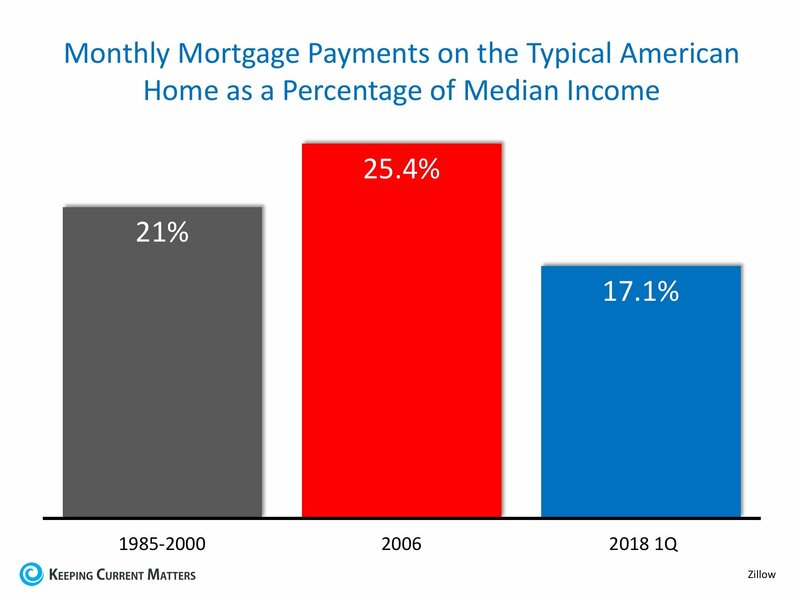 Homeownership is not for everyone. In fact, even as a Realtor, I’ve told a few buyers that it may be best that they rent a little longer. This is normally the case when people’s expectations are higher than their budget especially after seeing what’s available in their budget. 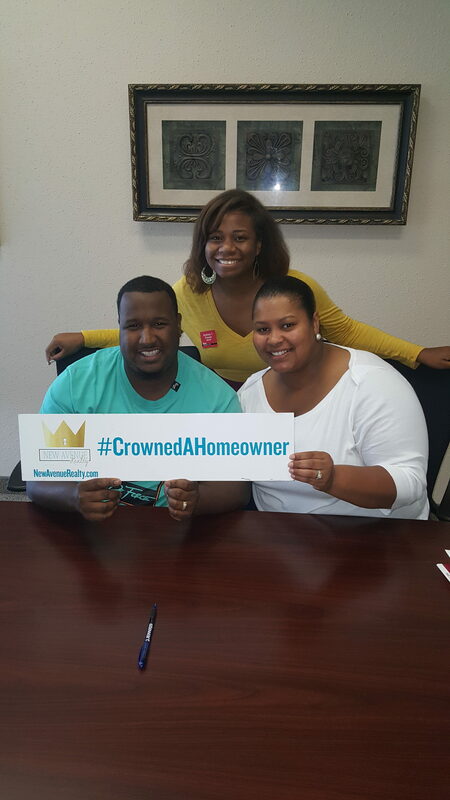 For myself, I think of homeownership as a wealth builder. It’s an easy way to build your wealth and not think too hard about it. For instance, your home makes money as you sleep. It just happens to be the place that you raise your family, entertain family and friends, and sleep. It isn’t a liquid asset but an investment nonetheless. No matter the market, people will forever need somewhere to lay their heads. You can even use it to build your retirement plan as well with rentals. I met a guy last year who funded his whole retirement through rental properties. He decided to sell them all last year. The townhome he was selling was $170,000. Mind you he had 17 properties. Let’s do math here: If he had 17 properties and let’s just say all of them sold for $170,000, that’s 2.89 million dollars in gross profits. Now think about the rent he collected throughout the years. Did I mention he still worked a 9-5 as well? Trust me….you don’t get to make true wealth by just working a 9-5. I am not a financial planner but I am sure they will tell you that you need your eggs in more than one basket. Other misconceptions I commonly here is “such and such” ended up retiring in their 30s because they didn’t buy a home. That is so great. I want to retire by 45 myself but homeownership is included in my portfolio to do so. What those type of stories don’t tell you is that “such and such” probably had no student loan debt and a six-figure job. Figure out what your financial picture and plan is. We are not our parents or grandparents generation. 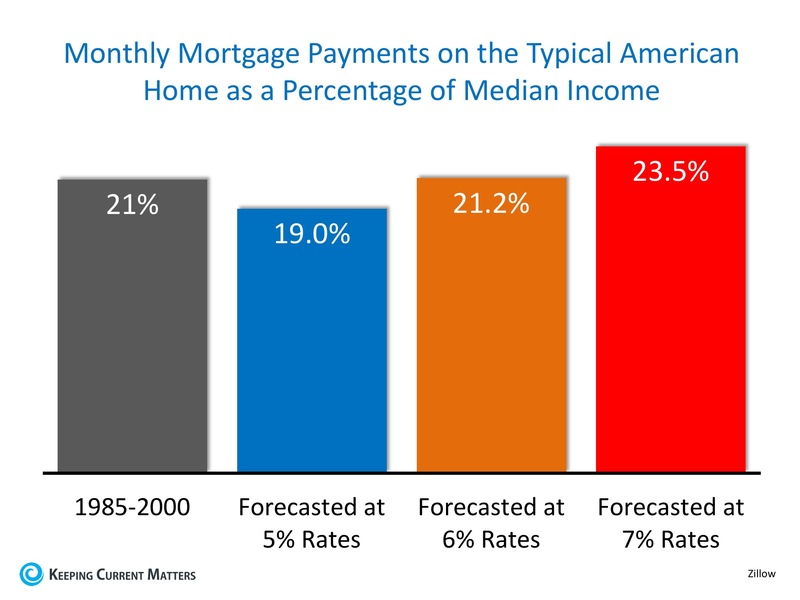 No one typically lives in their home for the whole 30 year mortgage life cycle. The average homeowner lives in their home for 4-7 years. 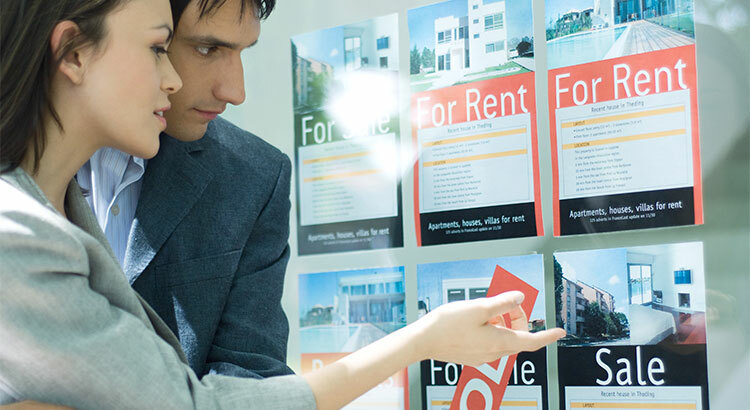 My best advice to give is to buy a home that can easily be resold. In DFW, I would say a home that is at least 1500 square foot, 3 bedrooms, 2 bathrooms, and a 2 car garage. Don’t live for your now when buying. Think about your life for the next 5 years and the person who buys your home. Think about how long you plan on staying in the home as well. If you plan to leave your area in the next year or two, then homebuying may not be for you right now. It’s okay but the biggest answer is it will be your choice and what you can afford. In my honest opinion, the best answer is to weigh your options and not what anyone else has to say to you. Is it cheaper to own than rent? In some areas yes. In DFW, the rent is just as high as the mortgage. The only difference is that you get tax breaks from the mortgage and the rent is just gone. Find Your Castle. Live Like Royalty. 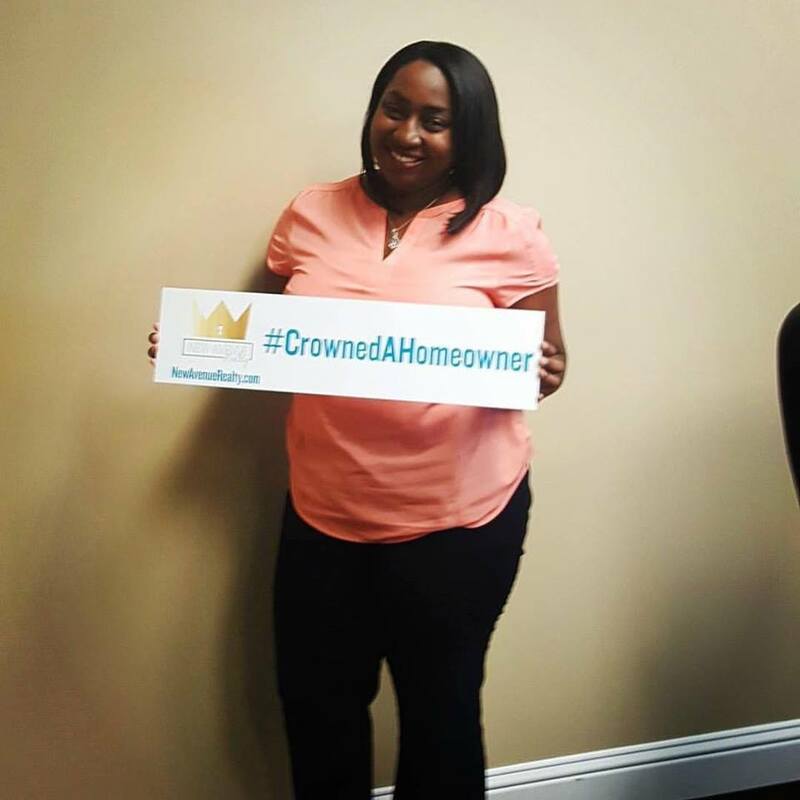 That’s the mantra of #CrowningHomeowners. I learned early on in my career as a Realtor that clients wanted to feel special. It didn’t matter what size their new home was it was their domain. It was their sanctuary. Lastly, it was the one place where they ruled the throne. That’s the feeling I love for my clients to have. It is never about me but about how they feel. To this day, it still amazes me when their face lights up at “the one” The one home that they will call their royal place in their life. It may be the first one or it may be the fifth one but it is a special place for them during this moment of their life. Don’t believe me. Just watch.